Join us to make sure The People's concerns come first! As the 2020 presidential election heats up, we are working to make sure Granite Staters’ concerns are front and center. In the months ahead, we will be asking tough questions of presidential candidates, knocking doors to talk to voters, and hosting a major presidential forum to make sure the People’s Priorities are clear. 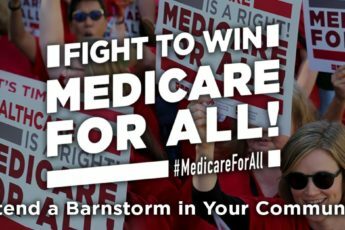 If you’re ready to join a passionate group of people fighting to ensure Medicare for All, the Green New Deal, a fair public education system, and more, please sign up!